Don’t you wish to take a break from all the pollution and dust in the city? 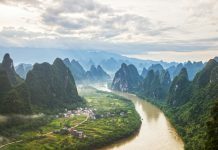 The enchanting mountains from around the world will help elevate your mood in more ways than one when you also have a view to look at. There are some amazing high altitude destinations which can be perfect for you! Since we aren’t used to these high elevations, arriving at these cities might cause ‘Altitude sickness’ which can occur when one travels to a high altitude in a short period. This happens regardless of age, gender, and physical condition of the traveller. The symptoms might include – difficulty in breathing (breathtaking! GET IT? ); headache, dizziness, and nausea. Although the thrill of climbing up on top sure does makes us feel on top of the world (see what I did there? ), it is better to eat light meals and drink a lot of water during these trips! So, here is the list of high altitude destinations for your next vacay! 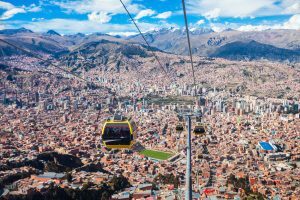 The world’s highest administrative capital, La Paz is situated in on the Andes’ Altiplano plateau and stretches to El Alto city in the highlands, with snow-capped, 6,438m-high Mt. Illimani as its backdrop. You can also enjoy the city’s dramatic setting during rides on Mi Teleférico, the aerial cable car system. A city in the Peruvian Andes, Cusco is known for its archaeological remains and Spanish colonial architecture. 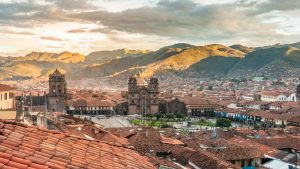 Once the capital of the Inca Empire, it is the gateway to Machu Pichu, Visit the continent’s oldest continuously inhabited city for its stunning landscape from Andean peaks to orchid-rich cloud forests and Amazon lowlands. The capital of Tibet Autonomous region resides in the Nyainqêntanglha Mountains of southern Tibet near the Lhasa River, a tributary of the Yarlung Zangbo (Tsangpo) river. 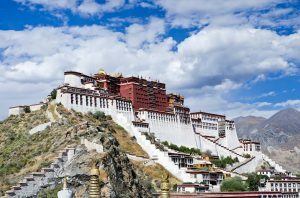 The 17th-century Patola palace in Lhasa (Lāsà literally translates to: “Place of the gods”) once served as the winter home of the Dalai Lama and yes, it still dominates the skyline. Get ready for a magical experience in this holy Tibetan city and its essence of traditional Tibetan life. 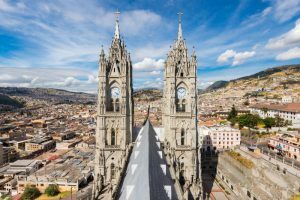 Sitting high on the Andean foothills at, Quito is dramatically hemmed in by the snow-capped peaks of two active volcanoes. This Ecuadorian capital was constructed on the foundations of an ancient Incan city and is also famous for its well-preserved colonial centre. It is rich with 16th- and 17th-century churches and other structures blending European, Moorish and indigenous styles. 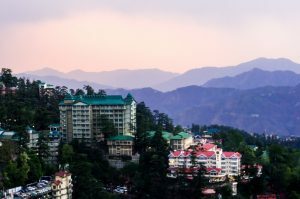 The capital of the northern Indian state of Himachal Pradesh, Shimla is nestled in the foothills of Himalayas. 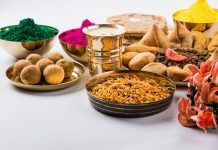 This most popular honeymoon destination in India was once the summer capital of British India, so you can also find colonial relics in the town when are huffing and puffing up the hills. Enjoy being surrounded by the hills and snow-covered peaks? Well, this is certainly the place for you! 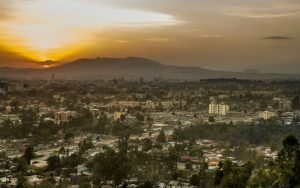 Visit the magical and mystical capital of Ethiopia that is situated in the highlands bordering the Great Rift Valley. This bustling cosmopolitan city serves as the base of the African Union. It also offers some of Africa’s best museums, as well as a vibrant coffee culture. 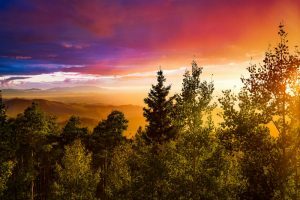 The oldest and the highest state capital in the US, Santa Fe sits in the Sangre de Cristo foothills in New Mexico. It is known for its artsy blends of Spanish, Pueblo Indian, and modern American traditions. You also get to learn about the Spanish colonisation with Santa Fe’s timeless historic buildings and museums. 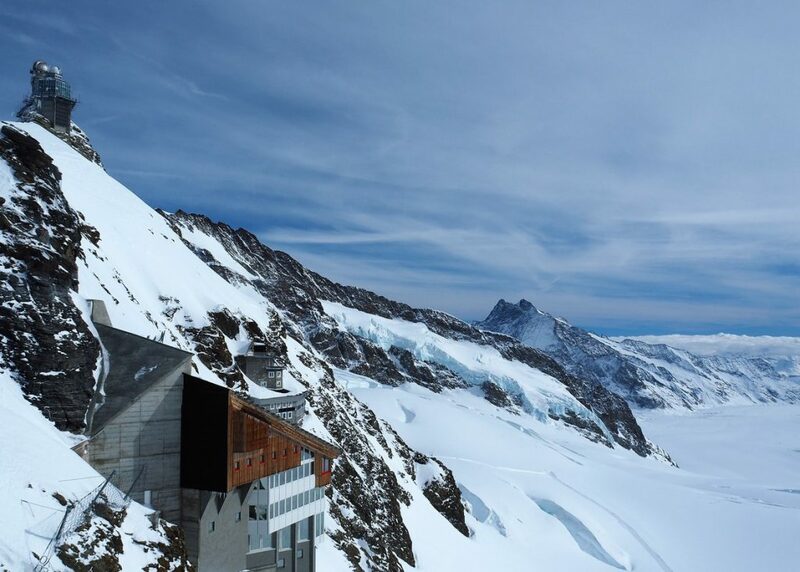 The third highest peak of Swiss Alps, Jungfrau is one of the main summits of the Bernese Alps, a high mountain range in south-central Switzerland. Often termed as “The Top of Europe”, it offers a spectacular view of a majestic backdrop of ice, snow and rock. So, prepare to be transported to a heavenly world of powdery ski runs and warm, inviting chalets! 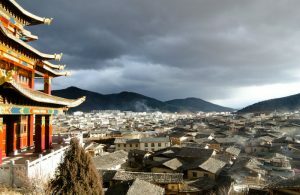 Located in China’s north-western Yunnan province, Shangri-La is an oriental wonderland that one must visit. A destination surrounded by mountains and forests, Shangri-la’s spiritual experience will be a unique blend of Tibetan and Han culture. Best to visit during the summer season i.e. between April and October as it is difficult to get to during snowstorms. The high altitude capital of Colombia, Bogota is situated on a high plateau known as the Bogotá savanna, part of the Altiplano Cundiboyacense located in the Eastern Cordillera of the Andes. 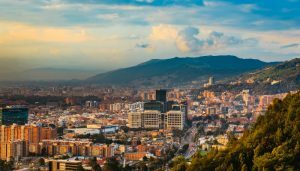 This diverse and multicultural city surrounded by the chilly Andean peaks also offers the bohemian locality of Macarena for art galleries and cafes, the Emerald market and La Candelaria (the city’s cultural centre)- that should not be missed! Mt Kilimanjaro, with 5.895 m Africa’s highest mountain, Tanzania. 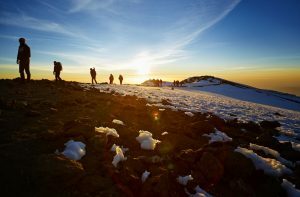 The highest mountain in Africa, Kilimanjaro is a sight to visit especially for climbers and hikers. Located in Tanzania, it has three altitude zones: High altitude ( up to 3,500 metres), very high altitude (up to 5,500 metres) and extreme altitude (above 5,500 metres). So, yes. The possibility of altitude sickness is pretty high (pun intended). Therefore, do prepare accordingly if you are planning to climb this dormant volcano. Add an exhilarating sight of flora and fauna by taking a trip via the Machame route. 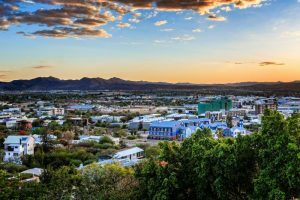 The capital city of Namibia lies between the Kalahari and Namib Deserts. Often seen as a little too ‘Western’ for their African tastes, his modern thriving city is known for an exciting mix of steel-and-glass high-rise, neo-baroque cathedral spires, and German castles from the colonial era. So plan for a ‘high’ literally with these destinations and their dizzying heights!